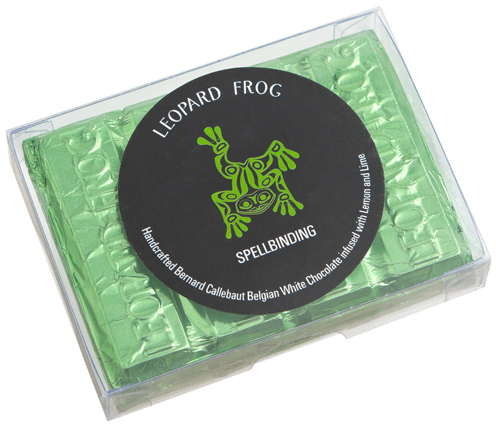 Spellbinding combines Bernard Callebaut Belgian white chocolate with lemon zest and other secret ingredients to deliver an enchanting chocolate experience. Mouth-watering white chocolate with freshly peeled and finely chopped lemon zest that deliver an enchanting chocolate experience satisfying to the mind, body and soul. Sugar, cocoa butter, whole milk, emulsifier (soya lecithin), pure lemon and lime essence, lemon zest.